WOULD YOU LIKE TO EXPERIENCE A DELIGHTFUL SUMMER? As the days lengthen and the temperature warms, thoughts of creating a collage of delightful memories emerge. As you envision the events that are to fashion them, may I suggest a foundation on which to plan them? Psalm 37:4 states, “Delight yourself in the LORD; and He will give you the desires of your heart.” If we are to experience a delightful summer our first priority will be to walk closely to Him and allow Him to place in our hearts the desires that will create incredible memories. According to gardening experts, the difference between an attractive plant and one that is floursing is dependent to a bit of early season pruning. Often called heading back or pinching, pruning a budding plant before it blooms can increase flower growth by making the plant produce more branches. Budding plants can be cut back multiple times during the growing season or pruned again after blooming to encourage a new flush of flowers. ARE YOU MARCHING FOR BIBLICAL FEMININITY? What would be your response if you carefully selected a gift and presented it to someone dear only to have him or her leave it wrapped? A myriad of emotions undoubtedly flood your mind as you consider such an ungrateful response on the part of the recipient. Putting the question in the context of God’s gift of unmerited love to us (John 3:16) is there a possibility that you might be neglecting to unwrap the one our Lord graciously custom selected for you by choosing to withhold love to others even when they are undeserving? 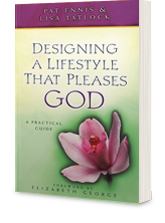 The holidays are rapidly approaching, and for many it ushers in a season of blessings garnished with stress. The holidays can be a hectic time, where shopping, gift wrapping, cooking, and party planning are added to already impacted schedules. The stress level increases when we choose to meditate upon where the time and resources will come from to fulfill everyone’s holiday expectations. This increase in stress that often detracts from the reason and joy of the holiday celebrations. 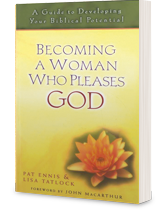 If we are going to be known as godly women we will make cultivating a lifestyle that pleases our heavenly Father our top priority; to cultivate such a lifestyle means that we must think like Him, and to think like Him we must have His mind. Proverbs 1:7 explains how to know our heavenly Father’s mind. . . we reverence Him. As a Christian woman, trained as a Home Economist, I never expected to be single past my mid-twenties. However, the Lord had a much different plan for me and has gently matured my attitude toward singleness, as well as the purpose of marriage. Rather than marriage simply providing a “permanent roommate” I know now that I should marry only if our united lives would be more effective for the Lord than either of us are in our single state. Developing a heart of contentment can be challenging even in the midst of the summer season when the living is supposed to be "easy”. Contentment is defined as “having an ease of mind or satisfaction.”[ Contentment, from a biblical perspective, is much more than mere satisfaction with life. 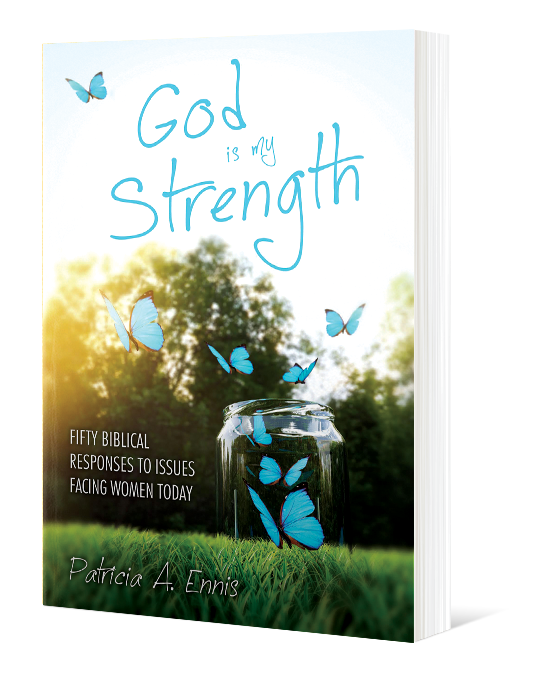 For the Christian woman the dictionary definition of contentment merely reflects the outward manifestations of an individual’s deep, inner convictions. Drawn from the Greek word arkeo, contentment primarily signifies sufficiency or satisfaction. Scripture teaches that godliness with contentment is great gain (Ps. 37:16; 1 Tim. 6:6), God’s promises should lead to contentment (Heb. 13:5), and those who seek contentment from money are never satisfied (Eccles. 5:10). Believers are instructed to exhibit contentment in their callings (1 Cor. 7:20), with their wages (Luke 3:14), with their possessions (Heb. 13:5), and with the food and raiment one has (1 Tim. 6:8). Would you like to reflect back on this summer as one that reflects that application of 1 Timothy 6:6 which teaches that “there is great gain in godliness with contentment”? Perhaps the following strategies will assist in fulfilling that desire. How would you describe a woman who is an effective servant in our Lord’s kingdom? Well organized, hard worker, and flexible might be words you would select. Words like sit, listen, ponder, and then serve probably would not be on your list. Why? Because they do not appear to produce an immediate outcome. Yet management experts tell us that if our time is limited to complete a project we will make more progress if we plan first and then take action. DO I CHOOSE TO LOVE AT ALL TIMES? I enjoy studying the lives of men and women of the Bible because they allow me to envision the application of Scripture (or the lack of it). First Corinthians 10:1-12 is a reminder that every event recorded in Scripture was written for “our instruction”—so it seems reasonable that we would look to biblical friendships as a guide for ours. One of the classic descriptions of friendship recorded in Scripture is that of Jonathan and David (1 Sam. 18:1-4, 19, 20, 23:16, 2 Sam. 1:17). 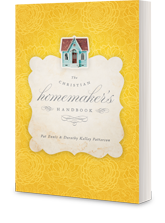 The qualities of their relationship provide a wonderful role model for the Everyday Homemaker. The light from the 58 candles on the courtroom bench cast a warm glow as I entered the historic room. I was honored to be a part of the “Evening of Prayer Where It All Began” sponsored by the Texas chapter of Concerned Women for America (CWA) on the evening prior to the anniversary date of the U.S. Supreme Court case that legalized the murder of unborn children. Stepping into the courtroom the gravity of the decision made January 22, 1973 was magnified as CWA’s Texas Director Ann Hettinger opened the evening with the reading of Psalm 139:13-17. Are you viewing 2016 through the lens of the media or the Word of God? The media reports that, among other things, family values are crumbling, lawless is rampant, the weather system is producing unprecedented damage, the education system undermines parental authority, the economy is literally bankrupt, and morality is at an all-time low. 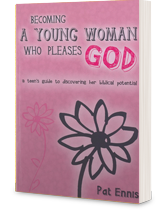 However, as a woman seeking to please God 2016 extends the opportunity to establish priorities rather than resolutions that will allow you to experience a fruitful year in our Lord’s vineyard! 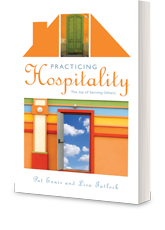 ARE YOU WILLING TO GIVE THE GIFT OF FAMILY HOSPITALITY THIS HOLIDAY SEASON? My role as a Home Economics-Family and Consumer Science educator in Christian institutions for the majority of my professional career provides me with a wonderful opportunity to work with young women desiring to learn to practice the Titus 2:3-5 mandate. The mentoring relationship we establish allows me to know them in at a more intimate level than a normal college/seminary professor. As we study and acquire skills together they often share that they frequently felt that they were “ministry orphans.” Moms extended hospitality to a variety of individuals and frequently prepared yummy food items to be shared at other events. Having done so the family was left with a quick meal through the fast-food restaurant, a sandwich hastily constructed then eaten “on the run,” or a plate of macaroni and cheese made from a box—again. My heart is always saddened because women choosing this management strategy communicate a strong message to their family that they are more focused on “looking well to the needs of others” rather than following the prototype of Proverbs 31:27 who first “looked well to the ways of her household” and then “opens her hands to the poor and reaches out her hands to the needy” (Prov. 31:20).